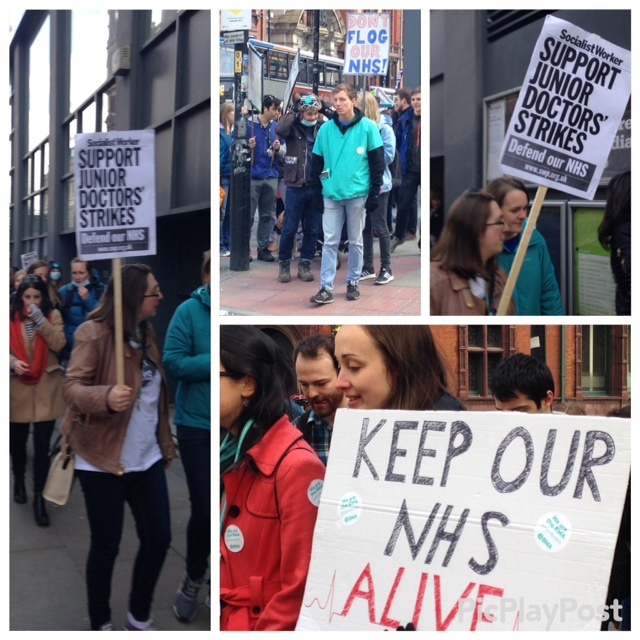 Striking junior doctors staged a rally through the centre of Manchester today in protest against attempts by Health Secretary Jeremy Hunt to impose a new contract on them. Cars hooted their support of junior doctors as they made their way down Oxford Road to a rally in Albert Square. Doctors were joined by trade unionists and other supporters oftheir walkout during the two-day strike today and tomorrow.